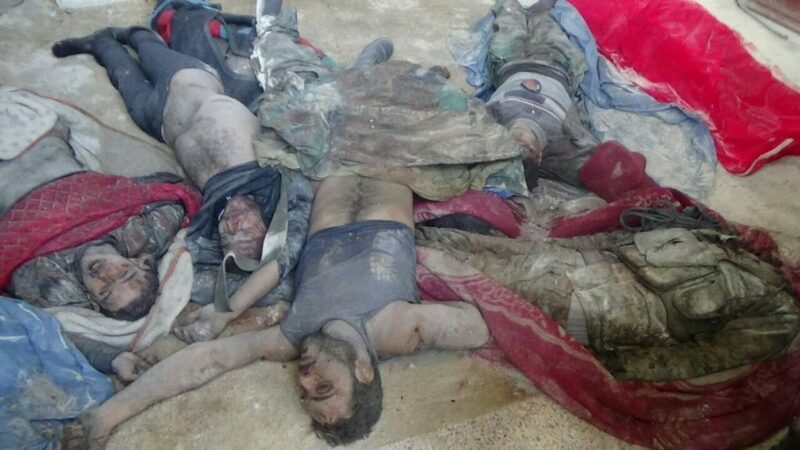 The Syrian Arab Army has discovered the bodies of more than 100 civilians and servicemen in a school in the Sukari neighborhood of eastern Aleppo. 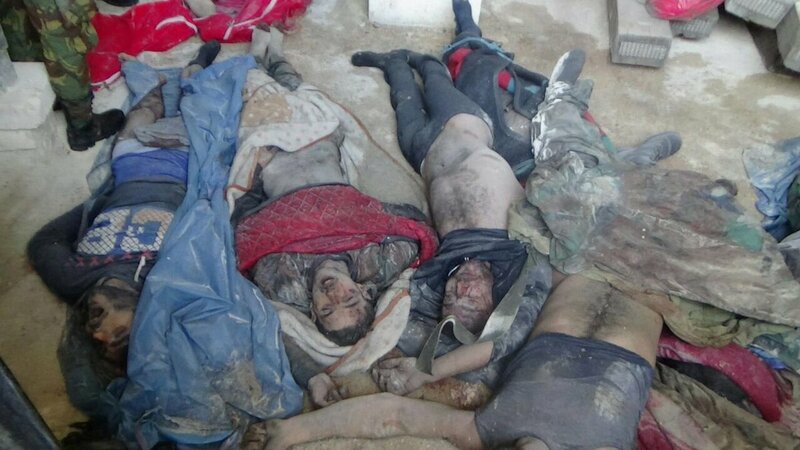 The bodies of the martyrs were found in a similar states of decomposition, offering forensics that the massacre of these hostages took place immediately before the withdrawal of the “moderate rebels” to Wahhabistan Idlib, under the support of the western world of NATO, and its regional stooges. This grisly discovery is yet another betrayal of Turkey, of Turkey-Russia brokered agreements with Syria. Never trust a Muslim Brotherhood, when will people around the world and governments before them understand this?!!! This grisly discovery comes just days after the assassination of Russian Ambassador Karlov, in Ankara, days after the discovery of a huge weapons warehouse in liberated Aleppo, days after Turkey’s FSA moderates burned eight buses. If the video up is removed by ‘freedom loving’ YouTube, we have uploaded another version of it on our servers: Graphic Video. Syrians in east Aleppo who refused to accompany the terrorists to their new destination called all ‘rebels’ from all 47 groups operating in Eastern Aleppo before it was cleaned by the SAA and its allies, they call all these rebel groups as terrorists, and all are alike: ISIS, Nusra Front (Al-Qaeda in the Levant and Iraq), FSA, Noureddin Zinki.. Yet another crime in the register of the ‘Humanitarian Bastards‘ against Syria and Syrians, and this is not only the crime of killing unarmed kidnapped human beings en mass, this is a proof that these terrorists have nothing to do with Islam except their enmity to it and their goals of tainting the image of Islam with all their Un-Islamic acts of terrorism, treason, backstabbing, murdering the elders, the children and the women, all of which Islam have strictly prohibited even during direct combats.